the interest of boffins over the possible impact on British and European DNA. 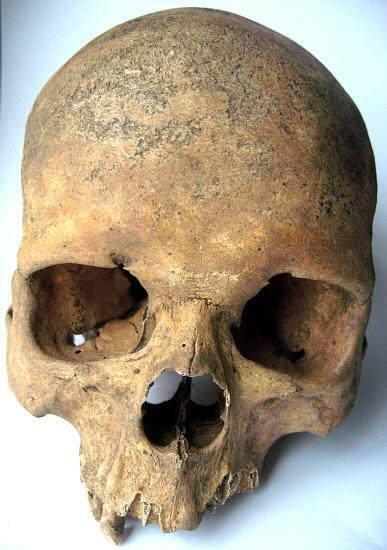 Earlier this year Warwickshire County Council’s Archaeology Warwickshire team revealed the skeleton of the African man had been found in a Roman cemetery in Tiddington, which revealed people of African descent had been living in the county for far longer than previously thought. As a result of the subsequent press coverage Dr Hannes Schroeder read the story and immediately contacted Malin Holst, the archaeologist who first identified the skeleton, hoping for further details. Dr Schroeder is a Marie Curie Fellow at the University of Copenhagen in Denmark, and is currently working on a project trying to identify the origins of enslaved Africans using ancient DNA and isotopes and thinks it possible that DNA from the Stratford skeleton might help his research. Archaeology Warwickshire’s Business Manager Stuart Palmer, who is studying the skeleton, said: “This is a very exciting and unexpected outcome. DNA analysis of the Roman skeleton could provide invaluable data concerning the DNA history of later populations and the ethnic origin of modern Britons. One theory is the man was a former Roman soldier who chose to retire in Stratford sometime in the third or fourth century. Mr Palmer added: “African skeletons have previously been found in large Romano-British towns like York and African units are known to have formed part of the Hadrian’s Wall garrison, but we had no reason to expect any in Warwickshire and certainly not in a community as small as Roman Stratford. “The skeletal remains revealed that the man was used to carrying heavy loads.